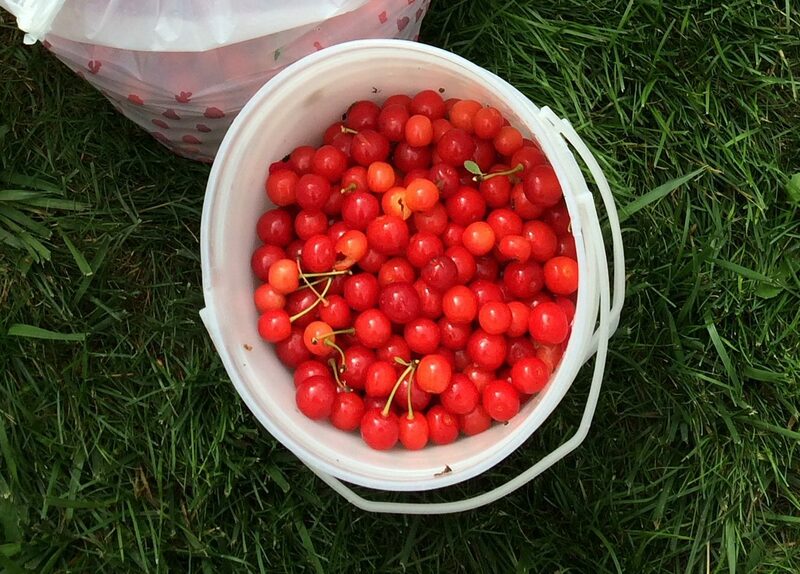 One of the members of my “framily” (we’ve been friends so long, we might as well be family) picked a pail of beautiful sour cherries for me, which is fantastic. Thank you, thank you. Not only that, they arrived pitted and frozen so I can make pie or jam AFTER we move. Cheery cherries in every way!